Back at the Regency Town House, Andy the Stonemason and I were asked to do some work in the servants’ yard to repair the plinth course (the render which covers the lower part of the brick walls). This was damaged when a layer of cement was removed to reveal the original flagstones. The majority of the original render was intact as well as a small area of the flaunching. 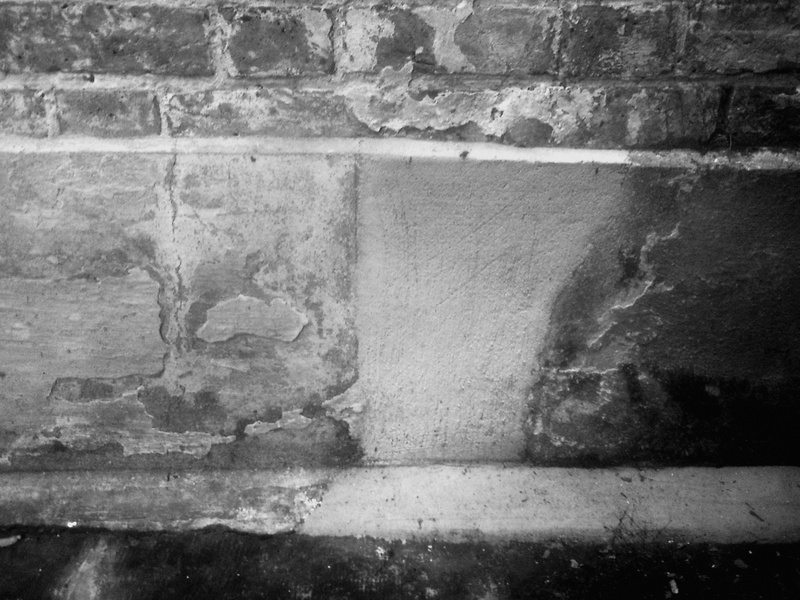 By analysing the existing mortar we devised a suitable mix and over several days applied the mortar in coats, as it would have been applied originally. Meanwhile, in the Housekeeper’s Room and the Kitchen, work had been begun to restore the plasterwork. 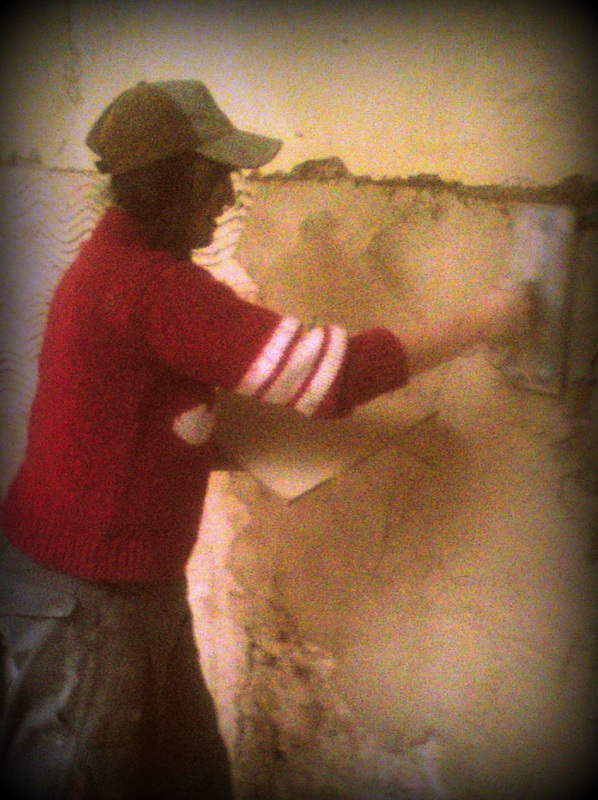 In the kitchen about 50% of the plaster to the walls was missing and Paul, an experienced Plasterer was leading volunteers in the restoration. We used a 3:1 mix of lime putty and aggregate. We also learned about the practice of reusing original material again in repairs, where cured lime and aggregate become the aggregate for the repair, added to the correct amount of lime according to the ratio (i.e., 3 parts cured lime plaster: 1 part lime). Paul helped us each make our own plasterer’s hawks and we practised on a mock lathe wall before getting to work on the walls themselves.